Yet again for two months running, the Making A Mark Poll reveals diverse practices by artists in the UK and USA. In POLL: Exhibition frames: How much do you spend per frame on average? I asked the identical question and then provided two different polls in the appropriate currency. The reason I've chosen exhibition frames is because when we are framing for ourselves we can either put up with something very cheap or spend a lot of money. Neither of which are probably typical of the average cost of an exhibition frame. Here are the results - as charts - below with a suggested analysis below this. Rather than ordering the responses in terms of the most popular, they are in order of expenditure so the four categories of spedn in each chart are more or less equivalent to one another. As you can see the profiles are very different! Posted by Making A Mark on Saturday, April 30, 2011 4 comments Who's linking to this post? The call for entries has been made for the prestigious Jerwood Drawing Prize 2011. Online registration opened at the beginning of April and the deadline for entries is 20 June 2011. The Jerwood Drawing Prize exhibition represents and celebrates the diversity, excellence, and range of current drawing practice in the UK. This is the largest and longest running annual open exhibition dedicated to drawing in the UK. Entries can be submitted by established or emerging artists who are resident or domiciled within the UK. More than 2,000 entries will be submitted. 50 - 70 drawings from around 60-70 artists will be selected for an exhibition at JVA at Jerwood Space, London from 14 September – 30 October 2011. The exhibition will then tour nationally. two student awards of £1,000 each. Read on to find out more about the prize and how to enter the 2011 competition. Posted by Making A Mark on Thursday, April 28, 2011 0 comments Who's linking to this post? Which were the top ten art exhibitions in the UK in 2010? If the Art Newspaper’s 17th annual survey of attendance figures (pdf file) and London Top Ten list (see end) is correct then some of the major London Art Galleries and Museums will need to answer some difficult questions from the Arts Council and their exhibition sponsors. I started off thinking that the problem lay in the way the Art Newspaper counts the numbers and assesses which are the top exhibitions. All figures were calculated automatically by our database, which computes the number of days an exhibition was open using the following formula: total number of days between start date and end date, divided by seven, multiplied by the number of days per week the institution is open, minus exceptional closures. The thing is for me, the top exhibitions are those that generate the top attendance numbers. It's really not about how many did they average each day - that's purely a function of how long the exhibition is and that might be a function of how long lenders will allow works to be in another place. I agree that in terms of cost-effectiveness, the figures might be better judged by visitors per day - but only if we also know something about whether they recovered their costs and that's a difficult issue to factor in. However the fact is that I managed to establish that there is in fact a broad correlation between the way the Arts Newspaper counts and the way I count (once exhibitions have been allocated to the right year!) - see the listings at the end for an illustration of this. Posted by Making A Mark on Wednesday, April 27, 2011 0 comments Who's linking to this post? This is a reminder about the Call For Entries for the Threadneedle Prize 2011 - for painting and sculpture - plus it also highlights and comments on the changes in the entry and selection process this year and another change which I've long lobbied for! This year is also a good year for artists who are computer 'savvy'. As I reported recently, the Call for Entries for the prestigious £25,000 Threadneedle Prize 2011 was published in March and the registration process is now open. The deadline for entries is 1st June 2011. This is a reminder of what you need to do if you want to enter this prestigious figurative art competition. The emphasis this year is on making the entry process much more accessible and cost-effective for all artists. Plus a significant clarification and one more major change - both of which are explained below! To say I'm sitting here with a big smile on my face would be an understatement! The changes are explained below along with the rest of the entry process. An "alternative to the Turner Prize"
Posted by Making A Mark on Tuesday, April 26, 2011 0 comments Who's linking to this post? 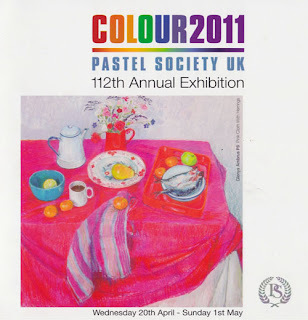 This is a review of Colour 2011 - the 112th Annual Exhibition of The Pastel Society. 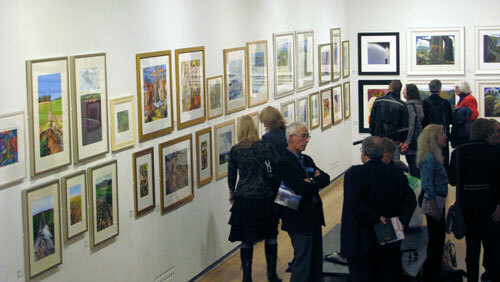 It includes images of some of the artists' work included in the exhibition. The 112th Annual Exhibition of The Pastel Society has changed its name. 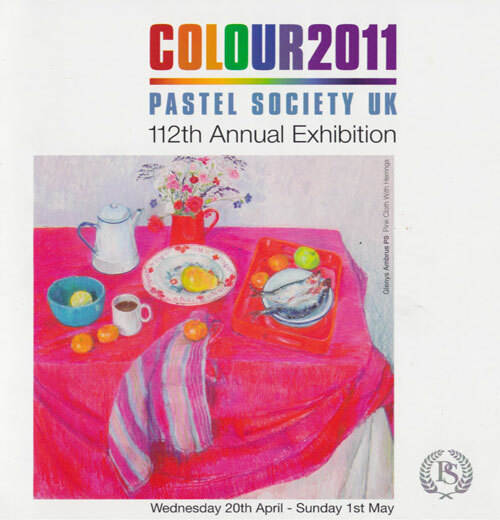 Rather than being called "Pastels Today" - which has been its name for as long as I can remember it's now called Colour 2011. I totally understand that this now gives the exhibition the benefit of a unique title for every exhibition but I'm left wondering what it says about the media of this media-based society. After all, this is a title which is hardly unique and could justifiably be claimed by the oil painters, the watercolourists, the painters in acrylic and the coloured pencil artists to name just a few. Coupled with the change in name of the society (see end) - as now represented on the website and catalogue - I'm leaning very much towards the "if it ain't broke, don't fix it" camp. a slideshow display of various works by members. However navigation is not easy and this can only be reached through quite a bit of scrolling down the exhibition page. In my view this really needs to be on a completely separate web page so no scrolling is required. After all the most important thing about the exhibition are the works - not who opened the exhibition! Posted by Making A Mark on Monday, April 25, 2011 2 comments Who's linking to this post? Little did I realise when I published this blog back in 2006, that some five and bit years later this blog would notch up ONE MILLION visits. As you can see visits have climbed steadily over the years - helped along by what is now a vast archive of posts which continue to attract a lot of interest from people. Tip - If you think you're going to have a successful blog, get Google Analytics up and running early! I didn't do this until 2008 hence don't have a complete stats profile for content. I've got a much better record of the numbers. Except the interesting thing I discovered this morning is that I've got a lag of about 20 or so visits between my dashboard on my Statcounter account and the Statcounter counter on the blog. However the chart up above was created at 7.37am this morning when the millionth person visited and it actually counts 1,00,002 visits! Those visits have also generated over 1.5 million pageloads. Statcounter has a specific time which has to elapse between visits for any pageload to count as a completely new visit. Were you the millionth visitor? I had a little count back on my stats and I can't tell who the visitor was but I do know that he or she came from Toni Kelly's A Spattering. I'll be writing to Toni and sending her a voucher to spend on Amazon for 'making a mark' and generating the millionth visitor to Making A Mark! I toyed with the idea of announcing a competition but decided to stick with not saying anything at all and just being around to see if I could work out which blog was the nearest to the millionth visitor! PS There will be no "Who's made a mark this week" as I've been 'out and about' this week with himself and not really looking at blogs. However later today I will finally get round to the review of the Pastel Society exhibition at the Mall Galleries which continues all next week. Posted by Making A Mark on Sunday, April 24, 2011 14 comments Who's linking to this post? 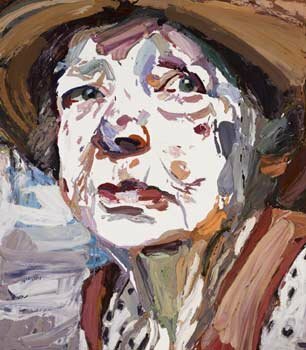 Ben Quilty's portrait of his friend, the highly esteemed painter Margaret Olley has won the Archibald Prize worth AUS$50,000. I think it's an absolutely stunning portrait and a well deserved winner. Apparently the striking colours of his palette were influenced by her home which is also her studio. The prize is Australia's oldest and most important prize for portraiture. It was inaugurated in 1921 after a bequest from J. F. Archibald, the editor of The Bulletin which was an influential Australian magazine (1880-2008). This is its 90th year and there were a total of 798 entries from which 41 finalists were selected for the exhibition. Below is a video about the Prize. It includes images of some of the portraits which became finalists and an interview with Ben Quilty talking about how he came to do the portrait. It includes a great comment which I've observed myself again and again when looking at portraiture by various artists. (I'll elaborate more when I get my review done of Martin gayford's book on Lucian Freud). It really stands out when somebody does know the sitter. If it's only about a one-off meeting to do a portrait then all it is is a likeness, there's nothing more. This is a quote about Quilty's work from this essay Is The Truth Of Portraiture Vested Exclusively In Likeness?, Michael Desmond, 2006. Quilty lays down meaty abstract slabs of paint, yet the individuality of his sitters, be they a friend or his infant son, emerges through characteristic pose or recognizable gesture. Posted by Making A Mark on Tuesday, April 19, 2011 3 comments Who's linking to this post? Louis Smith (Manchester) for "Holly". More about each artist can be found below. 55 portraits in total have been selected for the exhibition at the National Portrait Gallery, which runs from 16 June until 18 September 2011 prior to touring the UK. The Portrait Award, now in its 32nd year at the National Portrait Gallery and 22nd year of sponsorship by BP, is a highly successful annual event aimed at encouraging artists to focus upon, and develop, the theme of painted portraiture within their work. Posted by Making A Mark on Monday, April 18, 2011 1 comments Who's linking to this post? 17th April 2011 - Who's made a mark this week? I've been away for a week visiting gardens and pruning and planting and haven't had access to the Internet for nearly a week - which has been rather nice! :) Hence the post below is a bit lop-sided and partial compared to normal. I'm not sure how this week is going to pan out either as "he who must not be bored while I sketch" is on holiday and we should be out and about this next week. 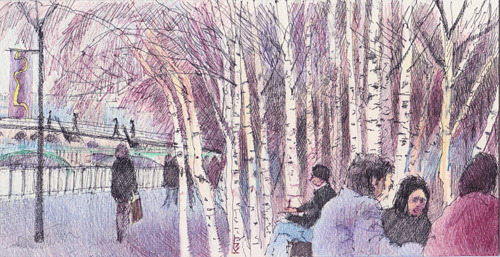 In the meantime - here's one sketch I did last week which will be posted soon on my sketchbook blog. I had one of those horrible experiences of loading an image (not mine!) and corrupting the post and I lost a load of stuff for this section so I'm not sure I've remembered everything! Enrique Flores wrote to tell me about a new new collective blog about sketchbooks called cuardernistas started by a group of friends. It has no text (almost) so it´s non-spanish-speaker friendly! Judging by the comments, everybody seems to have really enjoyed How do you share what you do as a painter? If you've not yet looked at this video about Rose Frantzen talking at the Smithsonian Museum about Portrait of Maquoketa , block out an hour, get a hot drink and a comfy chair and prepare to have your mind shifted! I'm very pleased to see that Charley Parker (Lines and Colors)has discovered David Curtis who is one my favourite English painters. Oddly Charley's selection of images are not ones I think are the most representative of David's work. He is after all the master of the subtlety of coloured greys. I don't think I've ever got round to posting my sketch of David Curtis having a cup of tea at a PV! I recent came across Michael Reardon's blog (Michael Reardon Watercolours) as a result of reading Charley Parker's review of his work. 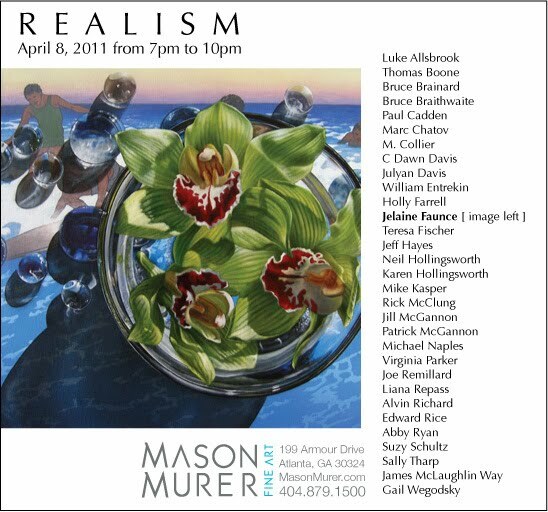 His work has also been recently featured in the Spring 2011 edition of American Artist. Chee has mastered and developed many techniques including the traditional watercolor approach, Chinese brush painting and saturated wet process, and his unique splash color, crinkling, marbleizing and mono-printing techniques. 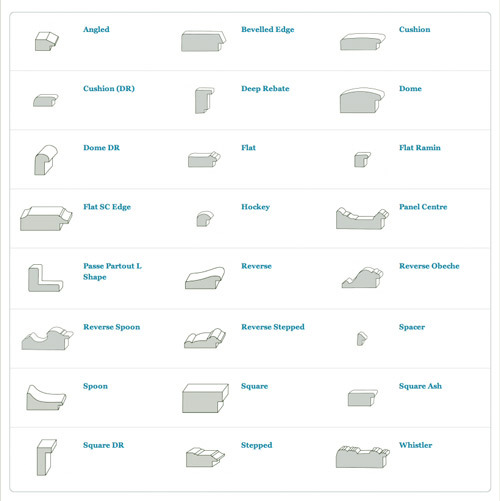 Nicole Caulfield (Nicole Caulfield) has an ace post for addressing surplus artwork called Keep, Store or Bin? Love the chart! Registration is now open for the Threadneedle Prize. I'll be writing more about this next. The Miró exhibition at Tate Modern opened this week and continues until 11 September 2011. Click this link Joan Miro exhibition comes to Tate Modern to hear Matthew Gale, the Tate Modern curator, explain to Will Gompertz, the BBC's Arts Editor, why the upcoming Jean Miro exhibition is so significant. This is the link to the new exhibition in the Musée d'Orsay - Manet, the Man who Invented Modern Art 5 April - 3 July 2011. Unfortunately it's not been translated! The American Watercolor Society's 144th Annual International Exhibition opened on April 5 in the Salmagundi Club in New York City. 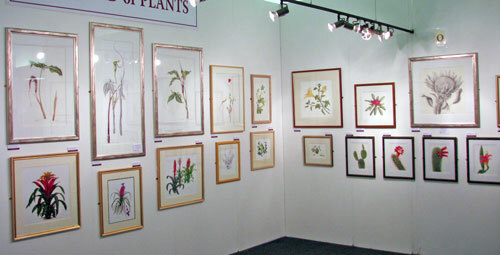 Today was the last day of the Annual Exhibition of the Society of Botanical Artists. Here are my posts (and images) for the fans of botanical art. LOOP artists all demonstrate a devotion to the fine art print medium, from time-honoured traditional printmaking methods to the latest digital developments, from the simple yet elegant woodcut print to incorporating print as an element within a mixed-media sculptural work. Following the annual Art Newspaper's annual review of visitor numbers to art exhibitions and art galleries and museums in 2010, I wrote Top 30 art galleries and museums in 2010 which analyses which are the best cities to go to if you want to visit a lot of top art galleries and museums. Ruth Phillips has a new book Cherries from Chauvet's Orchard, A Memoir of Provence which tells the story of Postcard from Provence. Sales are raising funds for the orphanage in Bamako in Mali where Julian and Ruth are at present at they become parents for the first time and collect their new adopted son. Will Terry (Will Terry Illustration) has a blog post and video about ebooks - Are they worth making? This the Making A Mark Poll for April POLL: Exhibition frames: How much do you spend per frame on average? Posted by Making A Mark on Sunday, April 17, 2011 3 comments Who's linking to this post? Categories art, art blogs, art news, botanical art, botanical artists, exhibition, exhibition review, painting, watercolour, who's made a mark this week? 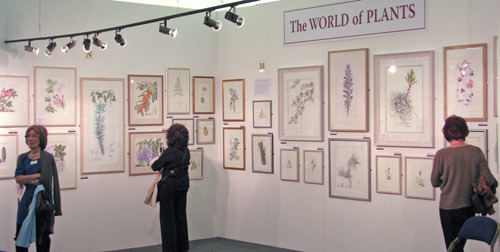 Every year the Society of Botanical Artists. awards a number of Certificates of Botanical Merit to entries in the Annual Exhibition. 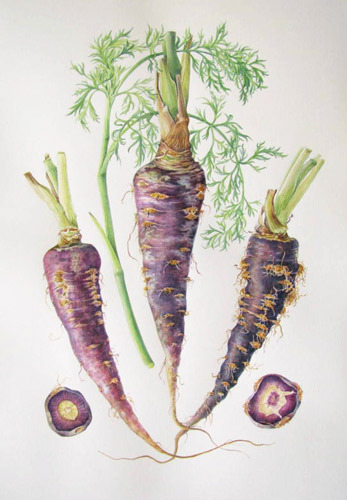 These works set a very standard of excellence in botanical art. All you get is the Certificate and the entitlement to letters after your name - but they are very prized! The certificate is for works of strictly botanical value and is judged each year by an expert in the botanical field. The achievement if recognised by the letters CBM after the artist's name, with the date. The expert judget for 2011 was Maureen Lazarus from the Department of Biodiversity and Systematic Biology at the National Museum Wales. According to SBA President Vickie Marsh's speech, Ms Lazarus spent some two days surveying all the works submitted before selecting those worthy of the award of a Certificate of Botanical Merit. You don't have to be a member of the Society of Botanical Artists to win one of these coveted certificates. 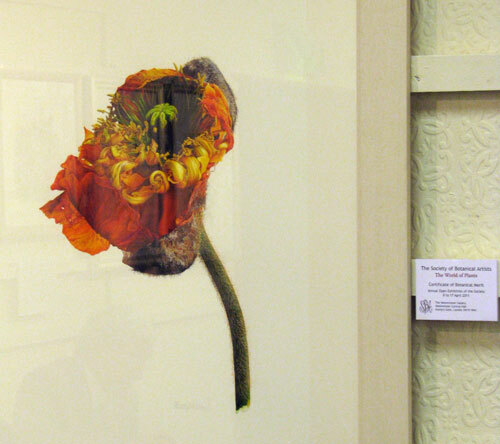 My particular favourite of those winning CBMs this year was the June Poppy painted in watercolour by Fiona Strickland. If you've never seen Fiona's work, it's worth a trip to London just to see the quality of her painting and what she can achieve. As somebody commented to me, there's an immense number of meticulous watercolour washes used to achieve the intense saturation and luminosity found in her work. Posted by Making A Mark on Saturday, April 16, 2011 3 comments Who's linking to this post? How do you share what you do as a painter? Beware - if you continue to read this post it may change your life. I'm not kidding. 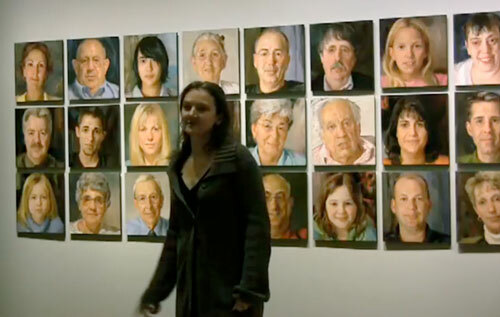 First a little explanation about how I came to find and post this totally amazing video about Rose Frantzen talking at the Smithsonian Museum about Portrait of Maquoketa - her project to paint the residents of the town in Iowa where she lives. Posted by Making A Mark on Monday, April 11, 2011 13 comments Who's linking to this post? Yesterday I had the pleasure of attending the Private View of the Annual Exhibition of the Society of Botanical Artists. "The World of Plants" exhibition continues until 17th April and I'm planning a return visit before it closes. - note how large some of the work is! More of "The World of Plants"
Here's my impressions - and then a lot of photos of the exhibition. Posted by Making A Mark on Friday, April 08, 2011 3 comments Who's linking to this post? Never let it be said that I'm not tempted by a good post title! In this case it happens to be true. This is a post about Shevaun Doherty who started her latest study for her assignment for her Society of Botanical Artists Distance Learning Diploma Course while under fire during the revolution in Egypt. It's been a turbulent few months here to say the least! We were here for the revolution in Egypt which was really quite frightening. 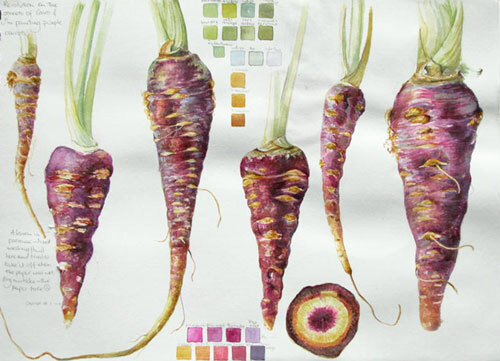 I had an assignment to prepare for the SBA Distance Learning Course and so tried to keep myself calm by concentrating on the colours, form and textures of Egyptian Red carrots. It was quite surreal - there were tanks all around the compound where I live, helicopters overhead, men with machetes, steel bars and guns standing on the street outside my house (neighbourhood watch!) and daily reports of violence and death.... whilst I sat indoors painting my carrots, not even sure just how I would send my work to my tutor! Anyway, the president was toppled and I DID manage to get the assignment done and posted (and got 91.4%!). We all hoped that life would return to some kind of normality. The youth groups are now calling on the people to begin protests once again this Friday in Tahrir, to save the revolution. I love living in Egypt but with two young daughters, I just don't think that it's worth the risk any more. So we have decided to move back to Ireland for the time being - we leave next week. Shevaun goes on to ask me to take a photograph for her of her assignment work which is on display in the SBA Diploma part of the Annual Exhibition of the Society of Botanical Artists which opens tomorrow. She can't make it to the Exhibition due to the fact she's in the midst of a move back to Ireland - which is such a pity as it's the first time her work has ever been in an exhibition. You can read how I came to know Shevaun in Why be an art blogger? I'm now off to the Private View at Central Hall and tomorrow, on this blog, I'll have news and photos from the SBA exhibition - The World of Plants. Posted by Making A Mark on Thursday, April 07, 2011 9 comments Who's linking to this post? The Art Newspaper recently published its annual review of visitor numbers to art exhibitions and art galleries and museums in 2010. I'm going to provide my digest and commentary on this information in this and tomorrow's post. I incline towards the view that the total museum numbers are probably more accurate than the exhibition numbers since there are so very many different ways tickets are sold and visitors are counted for exhibitions. Hence commentary on exhibitions comes later. The top 30 art galleries and museums in 2010, based on their annual visitor numbers are as follows. The list below includes the ranked position (which I added in! ), the number of visitors, the name of the museum, and the city that the museum is located in. Posted by Making A Mark on Tuesday, April 05, 2011 0 comments Who's linking to this post? POLL: Exhibition frames: How much do you spend per frame on average? Posted by Making A Mark on Monday, April 04, 2011 6 comments Who's linking to this post? As many of you know the reason why I produce these is because Amazon is so utterly awful at categorising art books! Or maybe it's the people who do the listings? Whatever the reason it's difficult to wade through the irrelevant books to get to the ones relevant to art (excluding books for kids, comics and commercial artists). Posted by Making A Mark on Monday, April 04, 2011 1 comments Who's linking to this post? The 199th Annual Exhibition of the Royal Institute of Painters in Water Colours is currently on display at the Mall Galleries in London. The exhibition continues until Sunday 10th April and I highly recommend a visit if you are a lover of traditional watercolour. This post is a review of the exhibition and it highlights artists who won awards and other artists whose work I liked. You can preview some of the members' images in the exhibition on the RI website. I went to the Private View with my blogging friend and soon to be painting buddie on holiday Sarah Wimperis (The Red Shoes). 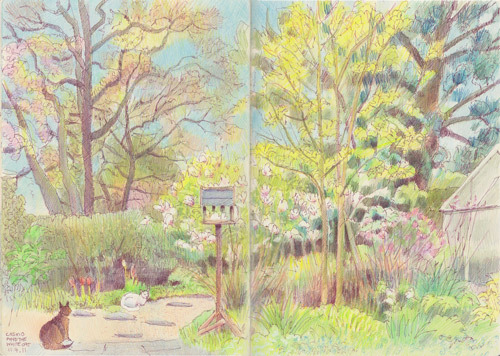 Her painting of a London Garden was hung in one of "the" places in the gallery - in line with the view through to the North gallery which always seems to be used for really strong paintings which can carry across a room. I have to say having seen Sarah's painting I am persuaded that bigger is better - so long as it's also good! Posted by Making A Mark on Saturday, April 02, 2011 1 comments Who's linking to this post? The Making A Mark Poll for March examined annual expenditure on art materials (including art equipment and technology). It asked how much do you spend per annum and how much do you claim against tax due. Rather less artists than usual responded to the two polls (plus a poll within a poll about treatment of expenses for tax), however the results have been fascinating. This month the Making A Mark Poll is asking you to 'fess up!!! How much do you spend on art materials, art equipment and technology to support your art habit in a year? Posted by Making A Mark on Friday, April 01, 2011 4 comments Who's linking to this post?